Local artiste Cinderella Sanyu aka Cindy's lover Mario Brunette has slashed off everything adopting a new look which Cindy seems to love. 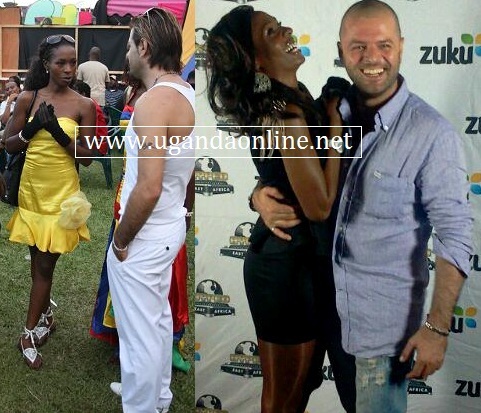 The celebrity couple is blessed with one daughter Amani who is about one year and are yet to exchange vows. In 2010, the couple separated for sometime just like any couple anyway but later made up and since then, they are spotted together in different hangouts. Cindy was supposed to launch her latest album but it was postponed after it fell short of meeting requirements for night performances in Kampala as required by the new law. The Ayokyayokya star is yet to advise on the new launch date. Last year, Maurice Kirya, a nominee in the 2012 Channel O Music Video Awards cut off his dreads opting for the bald look.